Metro Ice is the best ice distributor serving; Naples, Ft. Myers, Punta Gorda, and Port Charlotte areas. Metro Ice, Inc is the largest and best ice distributor in Fort Myers, Florida. 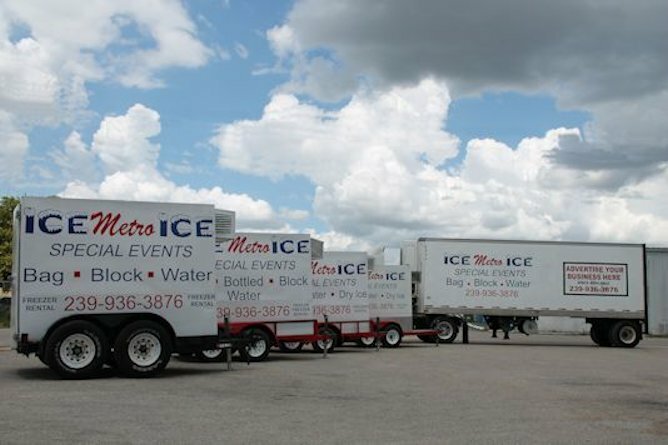 Metro Ice has been delivering packaged ice in Fort Myers, Naples, Port Charlotte, and surrounding areas since 1989. Metro Ice is a family owned and operated business. We also sell block ice! Call for details. We have the trailer that will suit your needs.